I slowly turned my head. Less than 100 feet from me Hershey was perched. The photographer was the one now being observed. a fisherman came down the slope behind me and Hershey glanced past me. I pressed the shutter button and Hershey lifted off the branch and was gone. 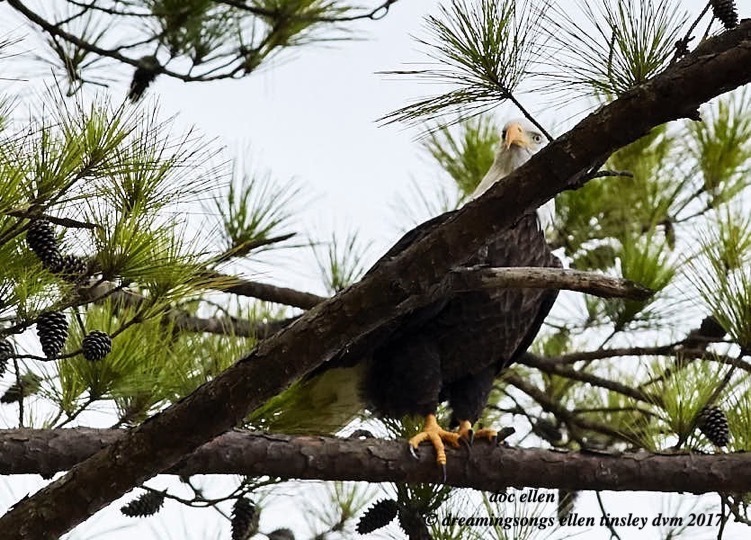 Posted in birds, eagle families of Jordan Lake, Eagles of Jordan Lake, Jordan Lake, Jordan Lake State Park, photography, raptors, wild birds and tagged as American bald eagle, bald eagle, bald eagle parent, bald eagles of Jordan Lake, Jordan Lake, Jordan Lake State Park, raptor.